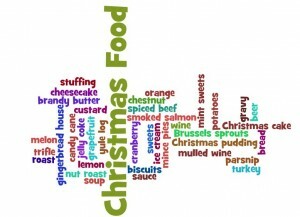 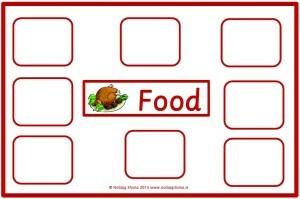 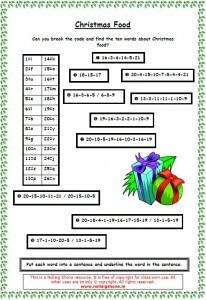 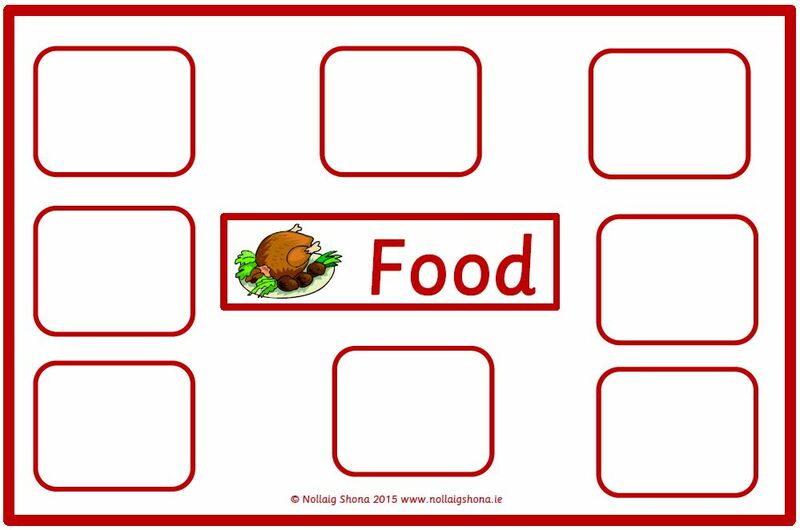 Break the code on this worksheet to discover the Christmas food words, then put each one into a sentence. 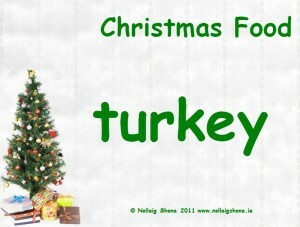 Short seasonal poem about mincemeat. 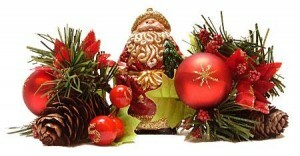 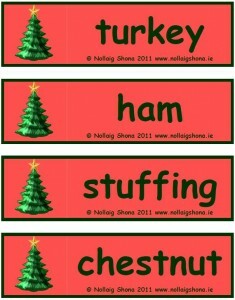 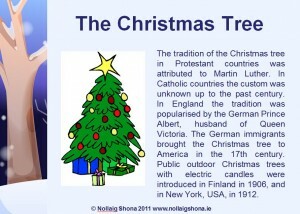 Flashcards with the names of all the traditional Christmas foods.